Android users have long wondered when Google was going to swallow its pride, acknowledge it's behind the curve set by Apple and come out with a smart watch for its own electronic ecosystem. Google (is) working on its own hardware for a smartwatch (because of) this job, along with Google’s strategy of making its own hardware touchstone devices that teach the rest of the Android (and Chrome and Google Assistant) industry how to do it well. Google recently spent $40 million on some kind of wearable technology from Fossil. It’s a “new product innovation that’s not yet hit the market." Do all of these clues add up to Google making its own smartwatch? Probably. Do they also add up to the VP of Hardware for Wearables having a tough job? Definitely. Do all of these clues add up to Google making its own smartwatch? Probably. 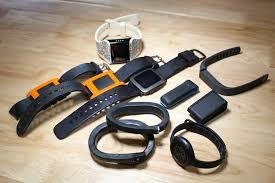 Do they also add up to the VP of Hardware for Wearables having atough job? Definitely.